After Blu-ray turned out to be the winner of the format war, Blu-ray soon became mainstream physical media for watching movies. Believe it or not, the first Blu-ray player in the world is PlayStation 3, or PS3 if you prefer. When PS3 was announced, It came with the Blu-ray playback capability, which later turned out to be a wise policy by Sony as Blu-ray wins the format war. It was also the cheapest Blu-ray player people could buy at the time. A lot of people even bought a PS3 solely for purpose of playing Blu-ray movies. Even today PS3 is still the only Blu-ray player in a lot of people’s household. As time goes by, problems started to arise. Some people find that their PS3 started to have problem playing Blu-ray discs. There are a lot of factors that could cause Blu-ray playback issue on PS3. 1. Encryption key needs to be renewed. Sometimes you might get a notification from your PlayStation 3 when you try to play a Blu-ray disc and it will tell you that you need to renew the encryption key by updating the software. The encryption keys are constantly updated so when it reaches its expiration date, you need to renew it by installing the latest software which will include new encryption keys and other updates. 2. The Blu-ray disc is region locked. The PS3 itself is region free but some Blu-ray discs are region locked. Most region locked discs can work on PS3 but sometimes there might be problem for PS3 to load and play some of them. To solve this problem, you can try ripping the region locked Blu-ray disc to MP4 and put the movie in a USB drive to play on the PS3. The PS3 can play MP4 videos directly from external storage media. Check out all the supported media formats in the list below. Another way to deal with the region code issue is to make a region-free copy of the problematic Blu-ray disc. Another possible cause of PS3’s failing to play Blu-ray disc is that the Blu-ray laser might have burnt out. The solution is simple, you can seek tech support from Sony and get a replacement of the laser or directly get a new PS4. If you haven’t ripped a Blu-ray disc before, check out the instructions below and see how you can do it on your computer. After ripping Blu-ray to MP4, you can transfer the video to a USB stick and insert it in your PS3 for playback of the video on it. 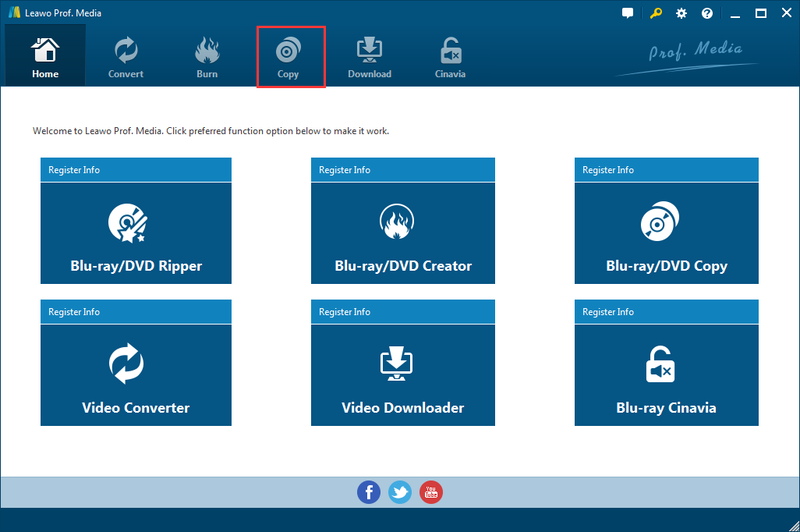 To ensure that you get a high quality MP4 video from the Blu-ray disc, you’ll need a suitable Blu-ray ripper program. Leawo Blu-ray Ripper is one of the top-notch Blu-ray ripper programs out there. It’s got some awesome features like ripping Blu-ray to lossless MKV and adding 3D effects on ordinary 2D movies. And of course, lossless MKV isn’t the only format it can rip and convert Blu-ray to. It also supports other common formats like MP4, WMV, RM, AVI ,etc. 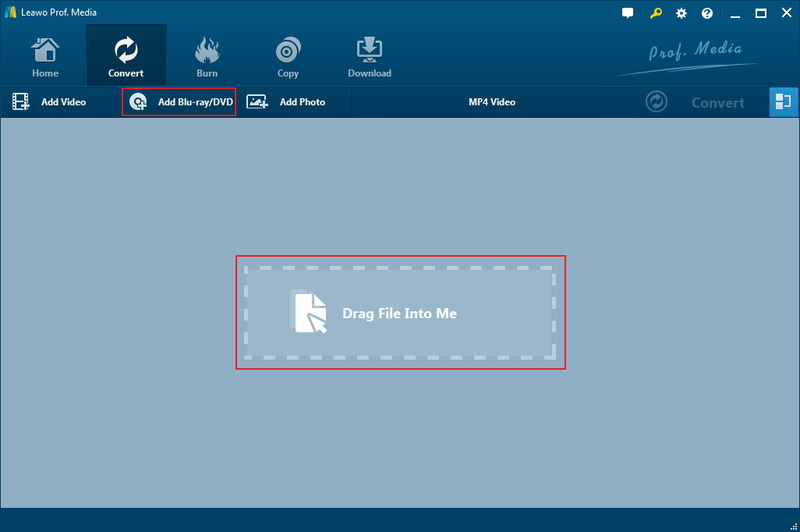 You can use it to rip Blu-ray to MP4 and then play the MP4 on your PS3 smoothly. It’s got preset profile for PS3 that you could use. 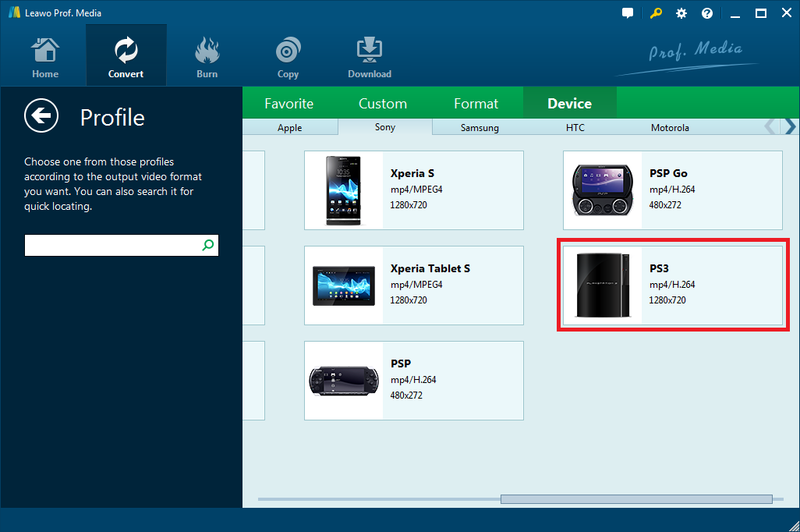 For a detailed guide to using the program to rip Blu-ray to PS3, check out the content below. Before starting the Blu-ray ripping process, make sure that your disc drive can read Blu-ray discs register the program in advance. Leawo Blu-ray Ripper is not an independent program but rather a part of a software suite called Prof.Media. You can get a one-year registration code for $44.95. And Leawo will periodically hold sales events on its promotion site. You can always check out its promotion site to see if there are discounts provided. Step 1. To get to the interface of Leawo Blu-ray Ripper, first open the software suite that contains it:Prof.Media. You can see that there’s a Blu-ray Ripper icon right on the interface of Prof.Media to let you open the module. Step 2. If the Blu-ray disc has been put into place in advance, you can directly load the data in the disc to the program directly in this step by dragging the Blu-ray folder to the program. Or click the button in the following order:Add Blu-ray/DVD>Add from CD-ROM>[your disc] to import the disc data. Step 3. Normally discs contain multiple videos in it and Leawo Blu-ray Ripper provides you with 3 different options for choosing different videos in the disc to rip. The 3 buttons on top of the left sidebar will help you select different videos. If all the videos are needed, select Full Movie. You can also use Main Movie button to pick out the main movie and make it selected for ripping. If you use Custom Mode, you would be able to select any video you like. You can select one or multiple videos to rip using Custom Mode. When you are done selecting, click OK to move on to the next step. Step 4. The videos you’ve chosen to rip will be listed on the video list. The next thing you need to do is select a suitable format for it. As is mentioned before, PS3 can play MP4 videos, so you can set MP4 as the default output format. Also it’s got a specific preset profile for the PS3, you can also select it in the settings. Here’s how to set the output format. The default output format is shown on a button that sits on the left side of the green Convert button. Click on this button and click Change on the following menu to open Format page. To select MP4, go to Format>Common Video and select MP4. To select the PS3 profile, go to Device>Sony and select PS3. Step 5. Click the Convert botton above the video list and when a sidebar displays itself from the right, you will see an output path box on the top and a Convert button at the bottom. First you need to set the output path and then you can click the Convert button to start ripping Blu-ray to MP4. When the ripping process is finished, you can put the MP4 video in your USB drive and then use your PS3 to play the movie. There won’t be any limitation that would stop you from watching the movie this time. A region-free Blu-ray disc can be played on any Blu-ray players. So if you can create a region-free copy of the Blu-ray disc you can’t play on the PS3, then the region code on the PS3 won’t be an issue anymore. There are certain benefits in making a region-free copy. Firstly, you get to play the disc on any Blu-ray player you can possibly use to play a Blu-ray disc. Second, you can consider it as a backup of the original disc which would come in handy if and when the original disc gets damaged or lost. To make a region-free backup, first you are going to need a recordable Blu-ray disc, which you can buy from places like Amazon. And then a proper piece of Blu-ray Copy software is necessary for making a high-quality copy. With that in mind, I would recommend that you check out Leawo Blu-ray Copy. It’s a proud product from the renowned multimedia processing software company Leawo. The program’s capable of making lossless Blu-ray/DVD backups, the kind of backup that has the highest level of quality. And 1:1 lossless Blu-ray/DVD backup is not the only option you have. BD50 to BD25 compression can also be done with it. Below’s how you can make a region free Blu-ray copy using Leawo Blu-ray Copy. Note: Leawo Blu-ray Copy can directly copy a disc to another disc, but it will need two Blu-ray drives at the same time and one of them should be capable of disc burning. Considering that most people don’t own two Blu-ray drives at the same time, I would show you how to make a copy with only one Blu-ray drive. And without doubt, it will require a Blu-ray drive capable of burning discs. Step 1. Leawo Blu-ray Copy got integrated into Leawo’s software package called Prof.Media a few versions ago, so you need to open Prof.Media to find the shortcut for opening Blu-ray Copy. The Blu-ray Copy shortcut icon lies right on the main interface of Prof.Media. 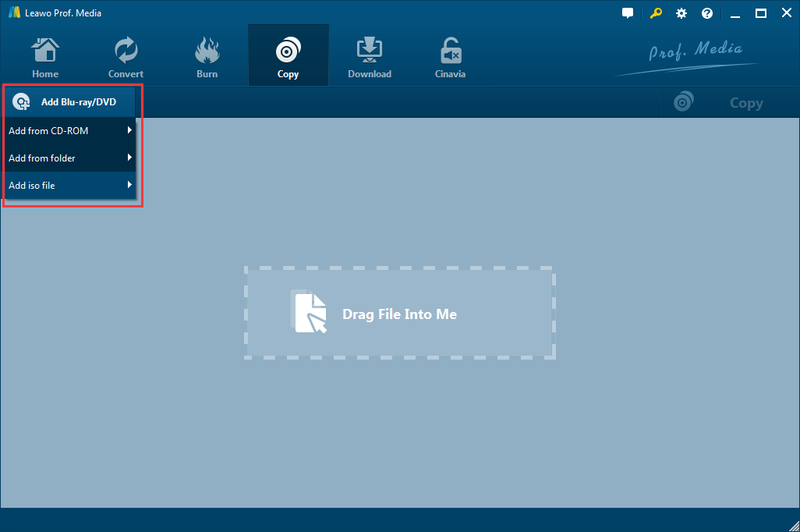 Just click on the icon to open Leawo Blu-ray Copy. Step 2. 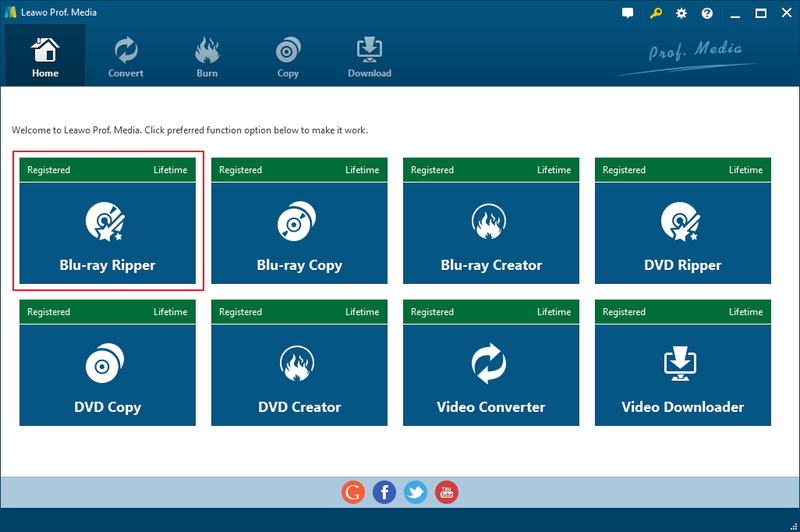 Place the Blu-ray disc in your Blu-ray drive and click Add Blu-ray/DVD after launch Blu-ray Copy. And continue to choose Add from CD-ROM. The menu that shows up later is Blu-ray disc in your drive. Click on it to start loading the media content of the disc to the program. Step 3. The following interface will have everything in the disc displayed on it. On the right column you will find all the videos, subtitles and audio tracks. And there are 3 buttons below them. The buttons are offered for you to choose what contents to save in the backup. If you choose Full Movie, then the program will help you copy all the content in the disc. By choosing Main Movie, you will only have the main movie saved in the backup. And you can always pick the contents you need by yourself using the Custom Mode. 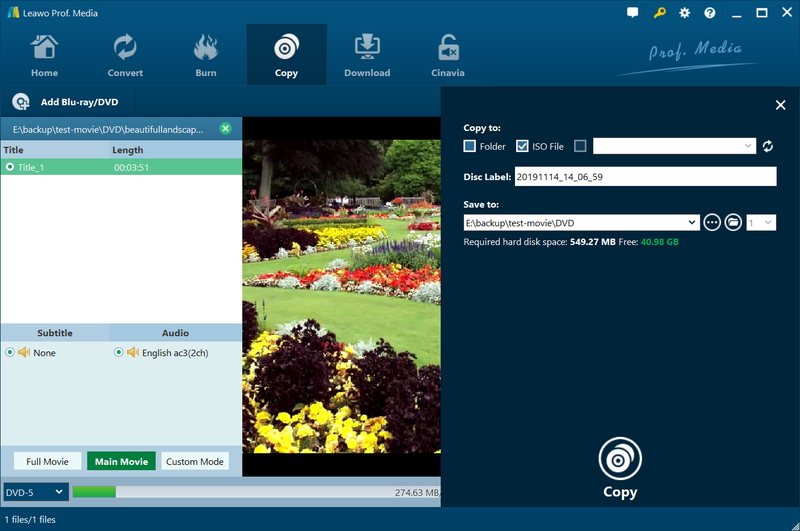 After picking the copy mode, click the button in the bottom left-hand corner to call out a drop-down menu and pick a disc format for the copy. Step 4. Click the green Copy button from the top-right. On top of the following sidebar, there are 3 options. To make a copy with one disc drive, you need to first copy the original disc to your computer hard drive. To do so, check Folder or ISO file to convert the original Blu-ray movie to a Blu-ray folder or a Blu-ray ISO file. And then set where to save the files in the Save to box. And then you can start the whole copying process by clicking the Copy button at the bottom. Note: If you have two drives, you can put the recordable disc in another drive, and select the blank disc as the target from the drop-down menu of the third-option on the top. And then you can directly copy a Blu-ray movie to another Blu-ray disc. If you can’t get the Blu-ray disc to play on your PS3, try using one of those streaming services to find and watch the movie you like on the PS3. You can find apps of some mainstream movie stream services from the PlayStation Store. 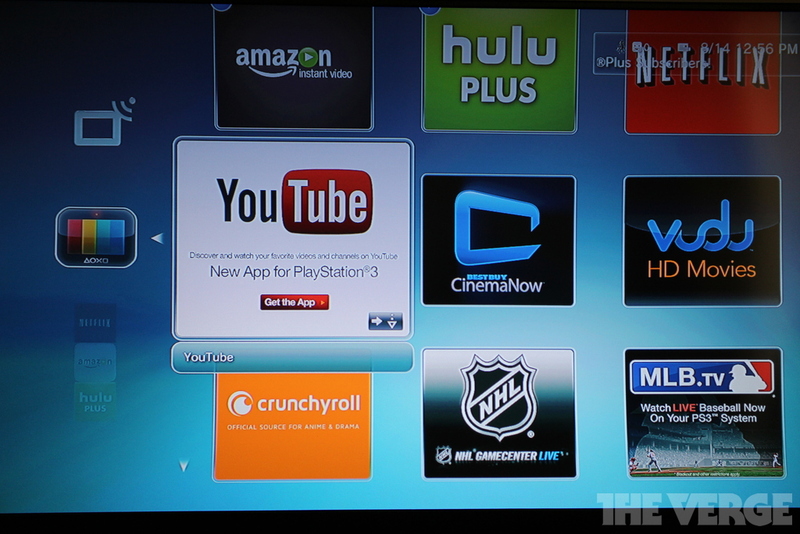 Some of the streaming service providers include: YouTube, Netflix, Hulu Plus, Vudu, Amazon Instant Video, etc.